While our men in Khaki are keeping the streets safe, and Twitter entertained with their witty tweets and wordplay, their counterparts in Bengaluru are setting goals in the very same category. Mumbai Police and Bengaluru City Police are the real law enforcement MVPs on Twitter and we can prove it. Mumbai or Bengaluru? What do you think? 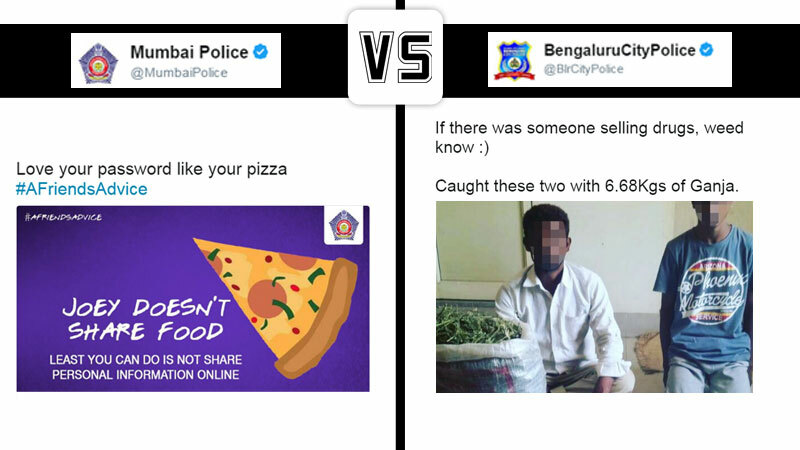 Let us help you make up your mind with the help of some clever and punny Tweets from the Mumbai Police and Bengaluru City Police Twitter accounts. 5. WHAT THE HELL!!!!!!! BENGALURU 3!!!!!!!!!!! 6. Another drug pun? How are these guys so good at it? 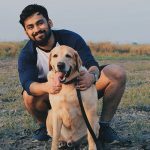 Mumbai 3! 9. NIKE pun!!! Bengaluru seems to be winning here…. 5 badass tweets from their account! 10. Dog pun. That’s it. I’m done. It’s a tie! Who do you think wins the race on the Twitter tracks? Let us know your thoughts in the comments below.